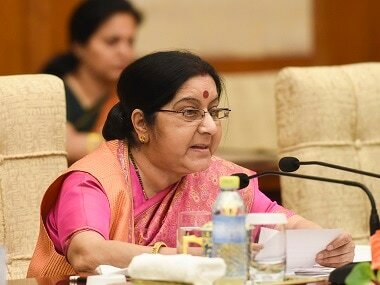 New Delhi: External Affairs Minister Sushma Swaraj met Uzbekistan's Deputy Prime Minister Sukhrob Kholmuradov in New Delhi on Wednesday and discussed ways to strengthen cooperation in key areas such as connectivity and trade and investment. Kholmuradov, who is visiting India to participate in the meeting of annual meeting of the Asian Infrastructure Investment Bank (AIIB) in Mumbai, held bilateral meetings with several ministers on Wednesday. "Relationship deep rooted in history! EAM @SushmaSwaraj met with Deputy Prime Minister of #Uzbekistan Sukhrob Kholmuradov. 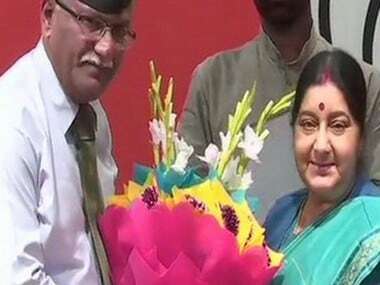 Leaders explored strengthening bilateral cooperation in trade and investment, agriculture, pharma, textiles, connectivity and tourism,” Ministry of External Affairs Spokesperson Raveesh Kumar tweeted. Kholmuradov also met Minister of State for External Affairs MJ Akbar and the two leaders shared views on deepening ties in bilateral and regional cooperation, Kumar said. 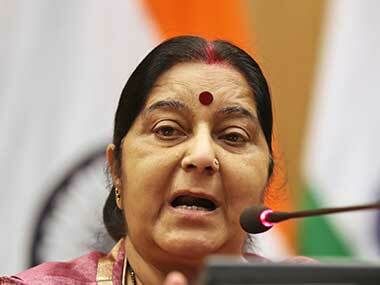 Swaraj and Kholmuradov reviewed the entire gamut of bilateral relations, the MEA said in a statement. “Both sides underscored untapped potential in strengthening bilateral cooperation in diverse fields including agriculture, pharmaceuticals, textiles, construction, information and communication technologies, innovation, tourism and agreed to further strengthen this partnership through regular consultations and organisation of business to business interactions on focused areas of mutual interest,” it said. During the visit, Kholmuradov also met with Agriculture and Farmers Welfare Minister Radha Mohan Singh, Science and Technology Minister Dr Harsh Vardhan, Minister of State for Commerce and Industry CR Chaudhary, and Minister of State Chemicals and Fertilizers Mansukh L Mandaviya among others. India's exports to Uzbekistan include pharmaceutical products, mechanical equipments, vehicles and service, while imports include fruit and vegetable products, services and fertilizers.